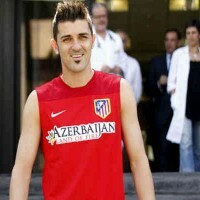 David Villa ready to leave Barcelona this winter at an affordable price! Barcelona’s David Villa delivered an impressive performance with a great display of his qualities as a reminder to the club’s fans and management on Sunday. Villa was impressive against Getafe, scoring one of the six goals for his team in a stunning collective effort. Barcelona thrashed their opponent with six different goal scorers. “Villa is such an important player for us,” Roura, the club’s assistant coach, said. “He was a starter today and we saw a great performance from him. So for a striker like him, to score is always important, and it is for us too. “The fact there were six goals and six different scorers today, in terms of motivation … it’s very important. “So important as well for Alexis (Sanchez) that he scored from the first chance he had and for us to keep him happy and motivated. It’s also important for us that Tello scored.